Stax Records, along with Craft Recordings ̶ the Catalog Division of Concord Music ̶ are thrilled to announce a GRAMMY® win for Best Album Notes, awarded to Los Angeles-based journalist and essayist Lynell George for her work on the Otis Redding album, Live At The Whisky A Go Go: The Complete Recordings. This GRAMMY® Award marks the first for Ms. George, as well as the first for the recently launched reissue imprint. 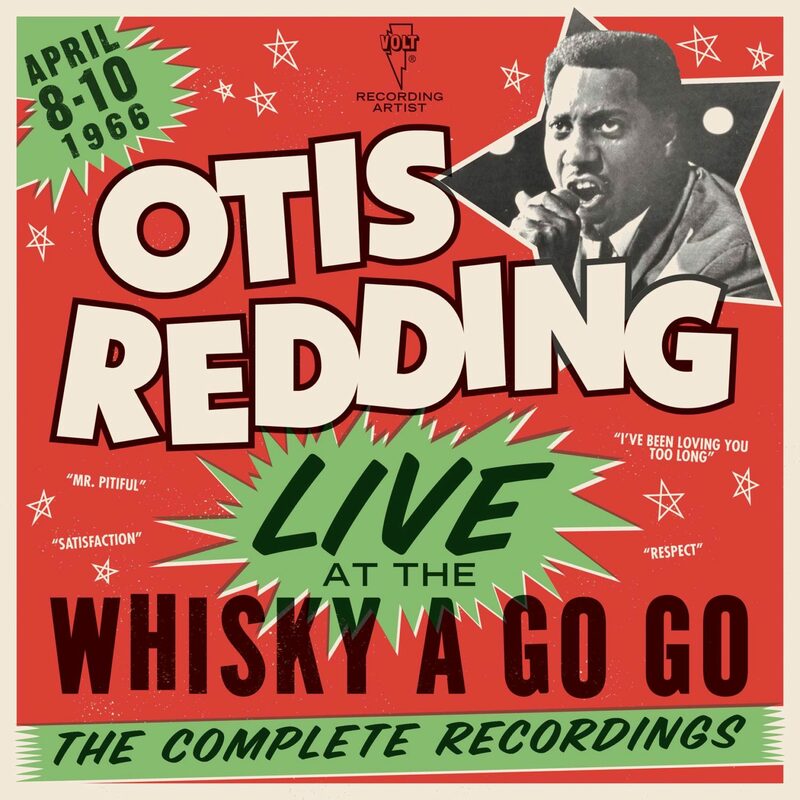 Released as a six-CD box set in October of 2016, Live At The Whisky A Go Go: The Complete Recordings offers the entirety of Redding’s historic performances at the famed Sunset Strip venue. The seven sets, recorded Friday, April 8th – Sunday, April 10th,, 1966, feature the singer’s popular songs of the time, including “Respect,” “I’ve Been Loving You Too Long” and his cover of the Rolling Stones’ “(I Can’t Get No) Satisfaction,” as well as between-song banter. The critically acclaimed title, also available as an abridged version on vinyl, was praised by the likes of Pitchfork, Uncut, and American Songwriter and was featured on several year-end best-of and gift guide lists, including those of Paste and The New York Times. George’s notes focus not only on Redding’s high-spirited performances that weekend, offering memories from attendees of the shows (audience members included Bob Dylan, Van Morrison and The Doors’ Robby Krieger), but also on the importance of these dates for Otis’ career, and the very deliberate choice of picking that particular venue. By the spring of 1966, 24-year-old Otis Redding was a bona-fide star on the R&B and soul radio waves, but had yet to be fully embraced by a white audience, and this gig in Hollywood ̶ booked at a venue known for hosting hippies ̶ was a shrewd move to introduce Redding to a new market. In fact, Redding would be the first major soul act to perform on the Whisky’s stage. In her notes, Ms. George adds context: “The Strip, like much of 1960s Los Angeles, had invisible but tough to permeate dividing lines…Redding began to see this three-night run as just the right spark to help him jump over all those many lines–from star to superstar, from R&B/soul to pop, from all-black rooms to arenas.” In the end, these Whisky sets (with Otis’ nine-piece band) did prove to be an important step in Redding’s career. Just one year later, Otis would be the star act at the Monterey Pop Festival, sharing a lineup that included Jimi Hendrix and the Who. Tragically, just as his career was reaching its peak, Redding’s life would be cut short in a plane crash, in December 1967. Click here for a copy of the liner notes. Lynell George is a Los Angeles-based journalist and essayist, who has previously penned liner notes for such releases as The Music of Aretha Franklin (Sony/Legacy), Nat King Cole: The Classic Singles (Capitol) and Love Train: The Sound of Philadelphia (Sony/Legacy). She has had a long career in L.A. journalism as a staff writer for both the Los Angeles Times and L.A. Weekly, where she focused on social issues, human behavior and identity politics as well as visual arts, music and literature. She is also an arts and culture columnist for KCET TV’s show Artbound. Her work has appeared in various essay collections including Writing Los Angeles: A Literary Anthology (Library of America); and Step Into a World: A Global Anthology of the New Black Literature (Wiley), while she has also contributed features, reviews and profiles to such outlets as The Smithsonian, Vibe, The Chicago Tribune, The Washington Post and Essence. Ms. George is the author of No Crystal Stair: African Americans in the City of Angels (Verso/Doubleday), a collection of features and essays drawn from her reporting. A USC Annenberg/Getty Arts Journalism Fellow (2013), she has taught journalism at Loyola Marymount University (2009 ̶ 2011). Ms. George is currently looking to the release of a new collection of her essays and photographs, After/Image: Los Angeles Outside of the Frame, due out in February 2018 via Angel City Press.